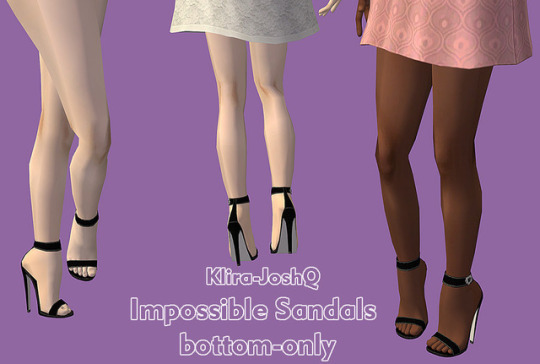 In this section you can find pantless bottoms (shoes as separates) custom content downloads for The Sims 2. Description: Mila's high laced heels separated as bottoms. Description: Vans shoes as pantless bottoms. Description: Gladiators as pantless bottoms. Description: Two Madlen's boots made as pantless bottoms. Description: Lilith high-heels as pantless bottoms. Description: Maxis barefeet, Gelydh's wedges and Amaryll's flats. Description: Pixicat's cutout ballerina shoes (flats) as pantless bottoms in several colours. Description: Bunheads’ peeptoes as pantless bottoms. 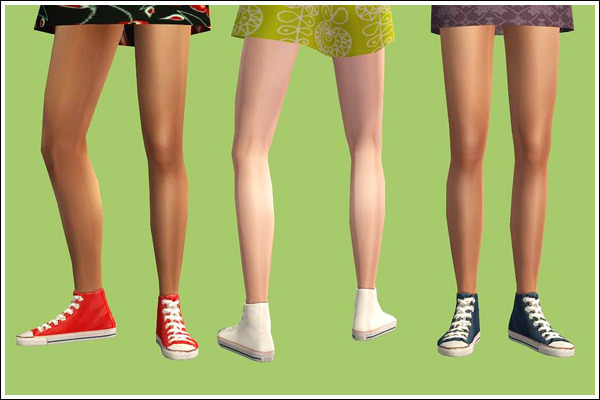 Description: Converse sneakers as pantless bottoms in several colour options (black, white, dark and light blue, yellow, red, orange). Description: Four Madlen shoes as pantless bottoms. Description: Thigh high stockings with wedges in different colours. Description: Mila's stilettos on pantless bottoms. Description: Pantless Vans slip-ons for child female.